On Sunday, September 18, 2011, a one year old baby named Olivia Hellwig, died as the result of injuries sustained from a collision between an SUV that was backing out of a parking lot and the baby’s stroller. According to the Atlanta Journal-Constitution, Gwinnett police investigators are scratching their collective heads trying to determine what crime to charge the motorist and the mother of Olivia. As is stands now, the police investigation has allegedly concluded that the mother, Brooke Hellwig, and Tekila Glass, operator of the SUV, are equally at fault for causing the death of the baby. On August 25, 2011, Priscilla Johnson, 48, of Clayton County, Georgia veered off Highway 138 and collided into three teenagers killing all three. The third victim was taken off life support at Grady Hospital on August 27. Ms. Johnson was charged in the Magistrate Court of Clayton County with more than 12 separate offenses, including reckless driving, DUI, hit and run and failure to exercise due care while using a cell phone. Allegedly, Johnson was on the cell phone arguing with her husband when she drove through a red light, left the roadway and crashed into the teenagers. Tests indicated that Johnson also had a high level of antidepressants in her system. The teenagers were walking on the side of the highway at the time of the impact. One teenager died at the scene and two others died later at the hospital. Several weeks ago, a Georgia mother of two was convicted of vehicular homicide in the second degree in Cobb County, Georgia. She was not driving or operating a vehicle. This conviction left a good many folks scratching their heads. How could a Georgia citizen be convicted of the death of another person by vehicle when such citizen was not even operating a vehicle or car at the time of death? Let me explain. On the evening of April 12, 2011, Raquel Nelson, a 29 year old mother of three, was crossing Austell Road near Marietta, Georgia with her children to get to the Somerset Apartments. They made it to the median in the middle of the road and then proceeded westward over the remaining lanes of traffic. On or around the same time, Jerry L. Guy, a 47 year old man from Marietta, was operating his van and collided into Raquel, her daughter and her son A.J. As a result of the pedestrian collision, A.J. Nelson died. Mr. Guy fled the scene of the collision. He was later apprehended and charged with vehicular homicide in the first degree, among other charges. Guy’s attorney admitted that Guy had drunk alcohol and presumably ingested pain medication earlier on the day of the collision. Guy was also partially blind in one eye. He entered into a plea bargain, and was sentenced to six months in jail and received a five year probation. Meanwhile, the mother, who was not driving a vehicle, was charged with vehicular homicide in the second degree for the death of her son. You can’t make this stuff up. On July 12, 2011, three months from the date of the incident, Raquel Nelson was convicted in Cobb County of vehicular homicide in the second degree, crossing roadway elsewhere than at a crosswalk and reckless conduct. Her possible sentence included 36 months of prison time. Without going into too much detail, Judge Katherine Tanksley of the Cobb County State Court, offered Ms. Nelson a new trial. On October 4, 2010, Carroll County school bus driver Kenneth Ross Herringdine, a driver trainee, turned the ignition on his school bus and started the afternoon bus route in Carroll County, Georgia with the students of Temple High School of Temple, Georgia. Alongside him for the ride that day was a bus driver trainer, Sheri Lyn Davis. In fact, Ms. Davis also rode in the bus the day before as she charted Mr. Herringdine’s performance. The day before the wreck, Ms. Davis had noted Herringdine’s subpar performance behind the wheel and the unwillingness of the students to board his bus for the ride home. When questioned by the police after the wreck, Ms. Davis stated that Herringdine “looks straight ahead and is slack with his mirror usage” and “does not pay attention.” Despite these observations and the fact that Herringdine had run over and killed a dog earlier on the day of the wreck while under her watch, Ms. Davis allowed Herringdine to tempt fate and roll the dice. Even worse, at the time of the fatal wreck, Herringdine had not yet received all of his certifications to operate a school bus on a full time basis. Against this backdrop, Herringdine allegedly drifted off the road on Highway 113 across a private driveway and over a culvert where it rested into a ditch. Toxicology tests showed that Herringdine had previously ingested cough medicine which contained brompheniramine, a drug that can cause dizziness, fatigue and sleepiness. Students on the bus complained that the driver appeared drowsy. Over twelve students were injured and one student, 17 year old James Rashawn “Ray Ray” Walker, was ejected through a bus window and died when the bus rolled over him. On July 12, 2011, Herringdine pled guilty to failure to maintain lane and was sentenced to a year’s probation and a $600 fine in a plea negotiation with the Carroll County Solicitor. Under O.C.G.A. 40-6-48(1), a motorist is required to drive within a single lane and shall not move from such lane until such time as the motorist determines that the move can be made safely. A violation of this law is considered a misdemeanor. Additionally, there are other Georgia laws of the road that bus drivers must follow. Further, a school bus is considered a “common carrier” under Georgia law which will afford further protection and a higher duty of care to the students on the bus. Despite the resolution of the criminal charges against him, Herringdine now has to resolve the related civil claims. And Herringdine may not be alone inasmuch as the Carroll County School System has acknowledged that he lacked state certifications required to operate a bus with students on board and that evidence reflected the school system was previously aware of his deficiencies. If Herringdine was an employee of the Carroll County school system or acted as an agent on its behalf, the school system may also be liable for the damages and the death caused by his actions and/or omissions. Further, under Georgia law, if the school system purchased a policy of insurance on the school bus, then the insurance policy should afford insurance coverage to Herringdine. I would assume that Walker’s parents will file a suit for damages in a civil court for the death of their son. If their son had a will at the time of the death, the will should specify the executor of the estate who would be authorized to file such suit. If their son died without a will (which is most probable at his young age), then his immediate family and/or next of kin could petition the probate court to appoint an individual to act as the administrator of the estate. The driver of the truck, Leonard Kleckley, was driving to a job when the incident occurred. The load on the truck contained fence equipment including metal poles, one of which extended 25 inches (over 2 feet) on the right side of the truck cab. The driver worked for D.J’s Services of Forest Park, Georgia. Mr. Kleckley was arraigned in the Magistrate Court of Clayton County and was denied bond as he was on probation at the time of the incident. Kleckley has been criminally charged with second degree vehicular homicide, a misdemeanor charge in Georgia under O.C.G.A. 40-6-393(c). The crime is considered a misdemeanor inasmuch as Kleckley did not intend to kill Ms. Cameron and is punishable by $1,000.00 fine and/or confinement for up to a year. However, Mr. Kleckley (and his employer) may also be subject to civil penalties. By way of note, the employer may be liable for the act or omission of his employee under Georgia law. Under Georgia law, a motor vehicle with a load is prohibited from operating on the road unless the load is adequately secured to prevent shifting or dropping of the load under O.C.G.A. 40-6-254. Additionally, under O.C.G.A. 40-6-248.1, no vehicle shall be driven on the road unless the vehicle is loaded, covered or constructed so as to prevent any portion of its load (i.e. fence post) from dropping, escaping or shifting so as to be a hazard to others. The news article does not indicate what type of truck that Mr. Kleckley was operating at the time of the incident. For our purposes, we will assume it was not a tractor trailer. In the instant incident, an independent eyewitness actually saw the extended metal pole hit the victim. The pole extended a little over two feet. The facts are sparse as to whether or not the victim was walking quite close to the roadway or whether the truck driver was operating quite close to the edge or off the roadway. If the witness testifies that the victim was not walking on the road at the time of the tragedy, then I believe the estate of the victim will meet the burden of proof that the truck driver actually caused the death of Ms. Cameron. 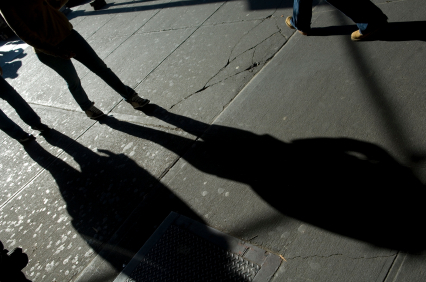 Conversely, if the witness testifies that the victim was actually walking on the roadway, then the result may be markedly different. I would assume that the victim’s family will file a suit for damages in a civil court for the death of Ms. Cameron. If Ms. Cameron had a will at the time of the death, then the will should specify the executor of her estate who would be authorized to file suit. If Ms. Cameron died without a will, then the immediate family and/or next of kin could ask the probate court judge to appoint an individual to act as the administrator of the estate to file such suit. 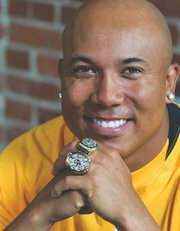 Hines Ward, current wide receiver for the Pittsburgh Steelers, was arrested early this morning in DeKalb County for driving under the influence (DUI). He previously played football at the University of Georgia from 1994-1997 as a tailback and wide receiver. If you are not a fan of football, you may have seen him dancing on Dancing With The Stars where his fleet feet won him the coveted mirror bowl trophy. My wife, a Georgia graduate, told me the details. In any event, he spent several hours in one of DeKalb County’s finest facilities today. The facts are somewhat sparse. However, Ward was booked in the DeKalb County Jail around 3:41 a.m. and released on a $1,000.00 bond. He allegedly told officers that he had been at a club in downtown Atlanta and had two drinks. The AJC reports that this is not Hine’s first brush with the law in DeKalb County, Georgia as he was previously charged with reckless driving and speeding. Apparently, he entered into a plea bargain and pled guilty to speeding with the more serious charge of reckless driving being dismissed. Allegedly, Ward was arrested for driving under the influence of alcohol. He failed a field sobriety test at the scene and refused to take a breathalyzer. In Georgia, the law mandates that a motorist shall not drive or be in actual physical control of a vehicle if the motorist was under the influence of alcohol, drugs or toxic vapor that makes it less safe to drive. Since Ward refused the breathalyzer, then under Georgia law his driver’s license would be suspended for one year and the solicitor would be able to admit evidence of his refusal in court against him. However, Ward could request an administrative hearing on his license suspension. Ward’s penchant to text and drive is a bit concerning inasmuch as he apparently resides in Sandy Springs, Georgia in the off-season and presumably is driving regularly on the roads in Georgia. Ward is but one of many motorists that text and drive. And the purpose of this blog is not to focus on Ward or to insinuate that he is a bad person. He’s not. He is just human and makes mistakes as humans do. Rather, the issue should be focused on inattentive drivers on the roadways in Atlanta and Georgia. Previously, case law in Georgia never expanded the Dram Shop law to include grocery stores, convenience stores or mom-and-pop stores. For those who are unfamiliar with the definition of a dram shop, a dram shop is a shop (e.g. tavern, bar) that sells alcohol or liquor by the dram (a unit of measurement for liquid). Dram Shop law are statutes or laws that impose legal liability on businesses/establishments that sell alcohol to noticeably intoxicated persons who then cause injury or death to persons as a result of crashes or accidents that are alcohol related. In the case before the Supreme Court of Georgia, Billy Joe Grundell drove to Exprezit! Stores 98-Georgia with his friend and bought a twelve pack of beer roughly four hours before the crash. The facts showed that Grundell was noticeably intoxicated at the time that the clerk sold him the beer. Grundell left the store, got into his vehicle and drove away consuming the twelve pack at a later point in time. Thereafter, Grundell crossed the centerline of a highway and crashed into a van traveling in the opposite direction. Grundell’s blood alcohol concentration (BAC) was 0.181 grams per 100 milliliters which was equivalent to twice the legal limit in Georgia. As a result of the car collision, six people were either killed or injured. The trial court and the Court of Appeals both agreed that the Dram Shop did not apply to the sale of closed or packaged alcoholic beverages that were not intended to be consumed on the premises of the shop. 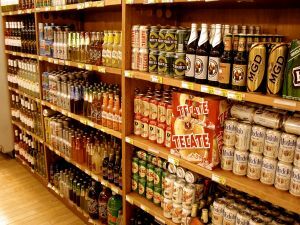 However, the Supreme Court interpreted the terms “sells, furnishes, or serves” alcohol to also include sales of alcohol at places other than taverns, bars and nightclubs inasmuch as convenience stores are indeed selling alcohol. The Supreme Court further found that one of the two optional exceptions in the Dram Shop law imposing legal liability applied to Exprezit inasmuch as the store’s clerk furnished or served alcohol to a noticeably intoxicated adult (Billy Joe Grundell). The store argued that it had no idea that Grundell would soon be driving and that convenience store clerks have limited time to determine whether a customer was noticeably intoxicated at the time of sale. In Georgia, as it the case with most states, a bicycle is legally considered “a vehicle.” This classification by Georgia means that general vehicle traffic law applies to the operation of a bicycle. Thus, any Georgia statute that applies to the term “a vehicle” (as opposed to “motor vehicle”) applies to bicycles as well. Despite the applicability of numerous general vehicle laws to bicycling, many motor vehicle motorists are still unaware of the laws. 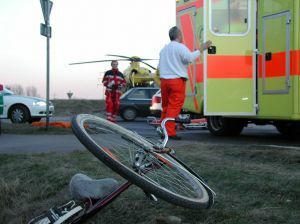 According to the Georgia Department of Community Health, over 795 bicyclists were involved in road crashes in 2007. Of the 795 crashes, 11 were fatal. Some of these crashes occurred by motor vehicles passing from behind the bicyclist. On May 17, 2011, Governor Nathan Deal signed HB 101 (now known as O.C.G.A. 40-6-56) into law. In pertinent part, O.C.G.A. 40-6-56(b) mandates that “…the operator of a motor vehicle, when overtaking and passing a bicycle that is proceeding in the same direction on the roadway, shall leave a safe distance between such vehicle and the bicycle and shall maintain such clearance until safely past the overtaken bicycle.” Subparagraph (a) of the same statute defines a safe distance as “not less than three feet.” This statute became effective July 1, 2011. Previously, the law did not define a safe distance and left it to the courts and/or juries. On July 4, 2011, Bryan Morgan, a 52-year-old Marietta man, was struck from behind by a Toyota Camry, while traveling southbound on Roswell Road near Hightower Trail in Sandy Springs, Georgia. As a result of the injuries, Mr. Morgan died the same day. According to the article in the Atlanta Journal Constitution, an investigation is pending and the motorist has not yet been charged by the police. I think it is pretty clear that if Mr. Morgan was struck from behind (as the evidence suggests), then the motorist was not maintaining a distance of three feet or less. Apparently, Mr. Morgan’s son was also riding a bicycle with his father at the same time. 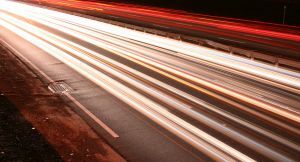 The testimony of the son may be crucial in determining whether or not the motorist maintained a safe distance under the new law that was enacted just several days before this tragedy. I would imagine that the Morgan family might also hire an accident reconstruction expert to review the property damage to the auto and bicycle as well as any witness statements, skid marks or other roadway evidence to aid in this determination. Georgia Bikes, a nonprofit statewide organization located in Athens-Clarke County, works to improve bicycling conditions and promote safe bicycling throughout the state and was instrumental in lobbying and educating the legislature which was critical in getting the new bike law passed. The new statute was the first reform to Georgia’s bike safety laws since the 1970s. However, the job of Georgia Bikes is not yet complete as the law is only as widely effective as it is widely known by motorists. I am honored to help spread the word. 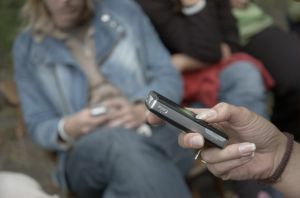 As arguably the first personal injury attorney to achieve a punitive damage award from a jury in Georgia for cell phone use while driving, I was interviewed for a front page article in the Atlanta Journal Constitution over six years ago regarding my thoughts pertaining to a cell phone ban ordinance. At the time of that article, I opined that the ordinance was a good idea in theory. However, in practice, the ordinance was almost impossible to enforce. Fast forward to the present. The State of Georgia enacted a law that went into effect on July 1, 2010 that was designed to curb motorists who text and drive. Recently, the Atlanta Journal Constitution wrote a story pertaining to this law and its impact on motorists. The results are not good. The Georgia State Patrol issued 105 citations since the law went into effect. Cobb County Police only issued 25 citations and surprise, wait for it, Fulton County Police have written zero citations. A violation carries a $150 fine and one point on the motorist’s driver’s license. One similarity between the cell phone ordinance and the texting ordinance is the lack of enforcement. As I mentioned in my previous interview with the AJC, the only real opportunity that law enforcement has to issue a citation is either from personally witnessing the criminal behavior or the admission of the motorist. Self-interest usually stops the motorist from confessing to a $150 fine, a point on the license and a trip to the courthouse. And being in the right place at exactly the right time usually prevents police from being a first hand witness to a texting. In support, the recent AJC article references a citation issued as the result of a motorist being caught by an officer at a red light while texting. I believe that a majority of rear end collisions today in the Greater Atlanta area are due to inattentiveness of the motorist caused by physically dialing a phone number on a mobile phone or texting while driving. The question becomes how do you prove it at trial? I handle numerous bodily injury claims resulting from car crashes in Fulton, DeKalb, Cobb, Gwinnett, Clayton and Henry counties. If the claim results in a lawsuit, I am entitled to propound certain questions and document requests to the offending motorist regarding cell phone and/or texting use at the time of the car collision. The motorist must generally verify that his or her answers to my questions or production of documents to my requests are true. As an additional matter, I will subpoena a certified copy of the motorist’s cell phone records to see if the driver was using the mobile phone device at the exact time of the crash. If the records indicate that the driver was using the mobile device at or very close to the time of the collision (as usually referenced in the first page of the accident report by the investigating officer), then the motorist has some explaining to do to the jury and the judge.